The most frequently asked question in recent weeks is “When are the steps to the beach going to be put in?” After speaking to NNDC Coast Protection Engineers today I can confirm the steps will be in place week commencing Monday 12th May. This is a little while later than had been hoped due to production difficulties and delays, however we shall soon have safe access to the beach. Whilst access will be safe, the beach and cliff base between the broken ramp and the end of beach road where the bay is forming remains difficult to negotiate, so please stay clear of this particular area if possible. Please adopt a common sense approach and do not attempt to scale the broken ramp, as a family of four complete with dog and bicycle did over the Bank Holiday weekend. We also spotted a rather foolish male attempting to scale the cliff by going up where there are many iron poles precariously perched all the way up the cliff face. We are now just one week away from our meeting with Elliot Morley MP, let us hope that the meeting goes well. Our preparation is well under way, and we look forward to discussing the matter with he who holds responsibility. Any developments will of course be posted on this website. 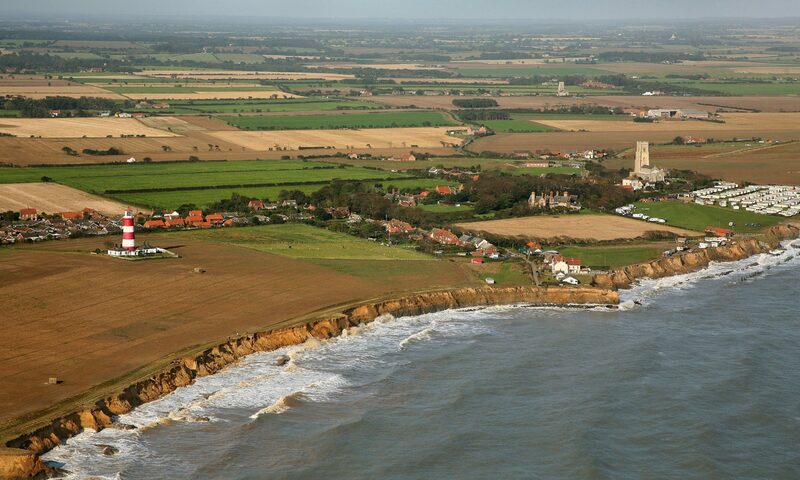 We have started a new section effectively singing the praises of Happisburgh. In recent weeks Kipling’s poem The Dykes was brought to my attention remarkably it was written 101 years ago yet is as applicable today as ever. What better way to get our new section started.